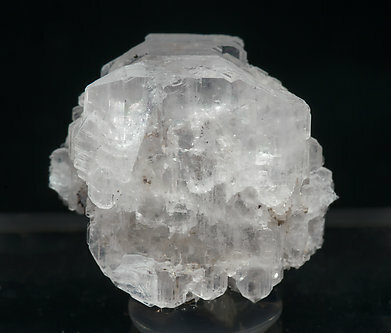 A single floater crystal that has extraordinarily well defined faces and edges. 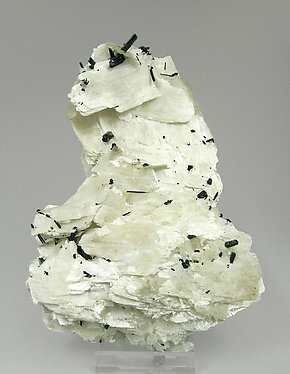 It is translucent, white and has small black acicular crystals on its base. Due to the singularity and perfection of the crystal it has been analyzed to positively identify the species. We’ll send a copy of the analysis to the buyer. A novelty at Sainte Marie-aux-Mines 2017. 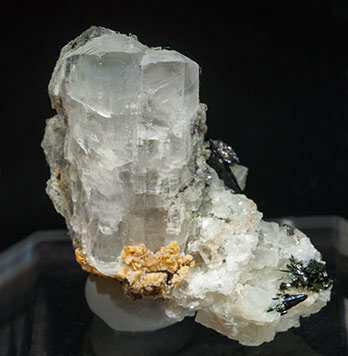 Very unusual parallel growth, on matrix, of two very well defined elongated crystals (the most common shape is platy and poorly defined), partially doubly terminated, with very well developed faces and edges and with excellent terminal faces that are transparent-translucent and quite bright, with small Aegirine and Quartz crystals. A museum sample, both for its size (enormous for the species) and for its quality. It consists of an aggregate of large white laminar crystals of Epididymite with a satiny luster and with fine black crystals of Aegirine. The sample has been carefully analyzed to differentiate it from Eudidymite, also present at the locality. We’ll send a copy of the analysis to the buyer.